I’m impressed with it so far and ready to try it in June. I am sick of always feeling crampy and bloated after meals. I feel tired, have horrible acne and sore joints. There are a lot of other symptoms, as well, that cross the line from “discomfort” in to “chronic illness”. I have leaky gut in a big way. 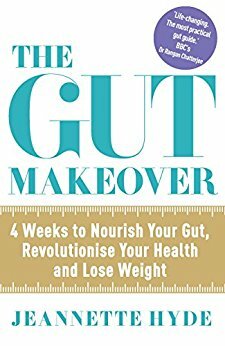 I have a couple of friends who have suffered from it and have healed themselves using a similar diet that is outlined in this book. I can’t wait to start eating from an elimination diet and slowly adding things back in to my diet. The scariest part for me? Giving up caffeine for a whole month! I was drinking 4-7 cups a day!!! I have brought it down to one small cup a day and I’m currently suffering from caffeine headaches. I’m glad I am slowly decreasing rather than giving it up cold turkey. That would have been a nightmare. I will keep you updated on how this goes. I start in June and it is going to be a huge adjustment. But I am sick of feeling crappy. I am not doing this to improve my life in a small way. I have no choice since my health has slid in to a chronic illness type of territory. I am barely functioning at full capacity right now. In the book, she encourages you to keep a journal on symptoms so you can make a diet that is right for you, since everyone has different reactions to various foods. If it doesn’t help in the long run, I will have some detailed research to take to my doctor and a nutritionist. It’s win-win doing this, as far as I can see. Leanne Rimes new lease on life: I love this interview HERE and this one HERE. Regina Spektor’s old videos: My faves are EET and Dance Anthem of The 80’s. J.P Sears Youtube series: Awaken With JP is one of the funniest things out there. You can visit the whole catalogue HERE. I am also loving Jeff Wysaski’s funny (sometimes in a twisted way) tweets on his Twitter feed. They make me laugh. You can find his page HERE or by searching @pleated jeans. Here is a cute sample tweet: “A Jurassic Park movie where nothing goes wrong just 2 of the employees fall in love & later a baby dino is the ring bearer at their wedding”. Heehee. I hope you get a kick out of those things and they give you hope or a laugh. The internet can be a pretty bleak place lately. Let’s look for the good. Have you found anything enlightening or funny I should enjoy on the internet lately? Please share in the comments below! Gluten-Free Baking Alternatives: Three of The Best. 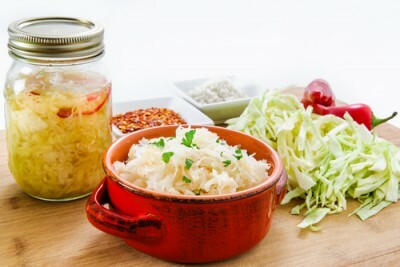 Gut Health Help: Article Roundup.